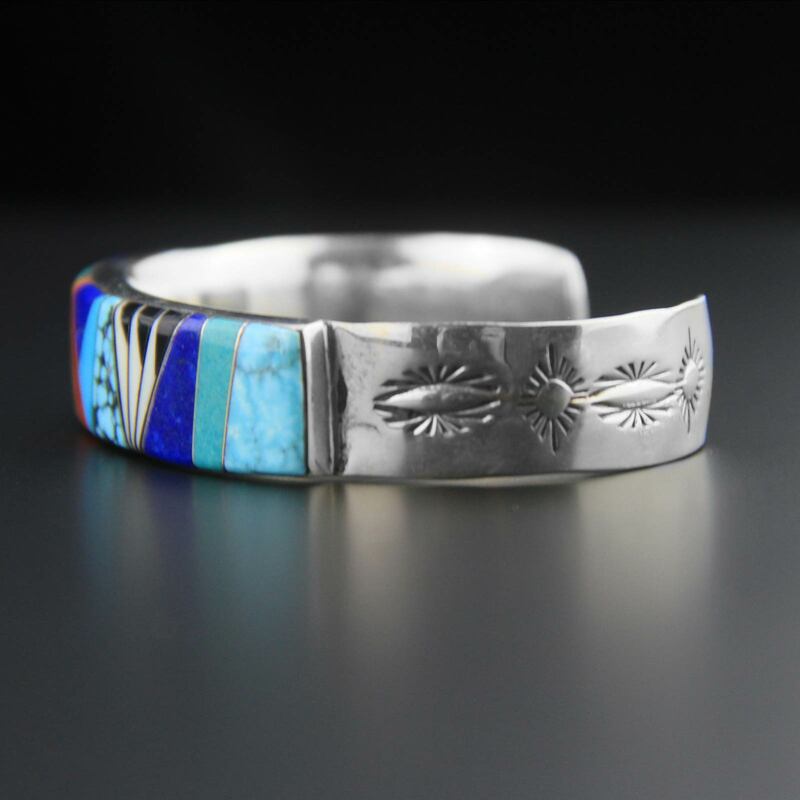 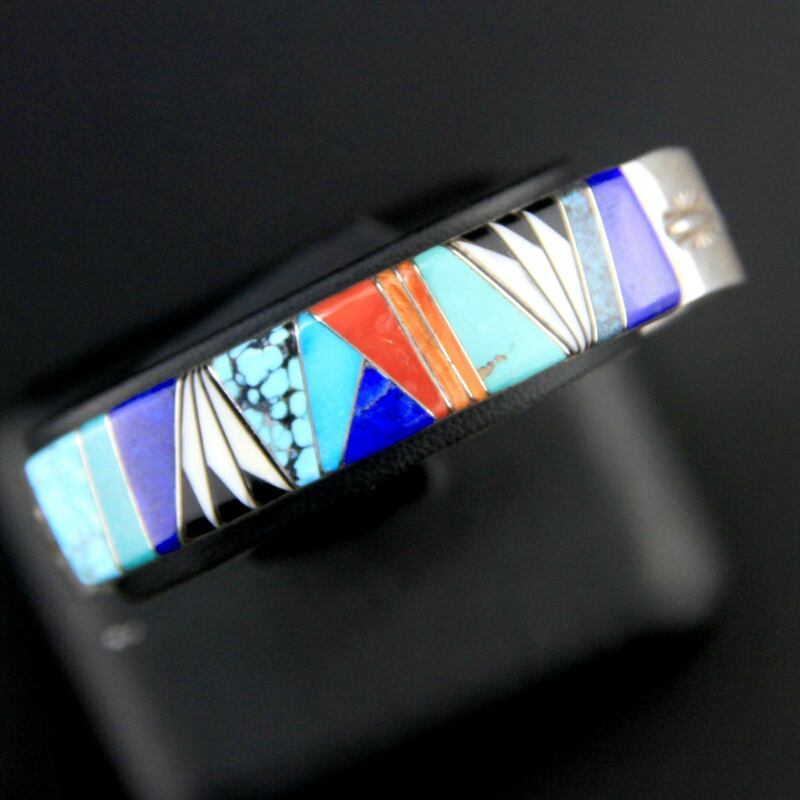 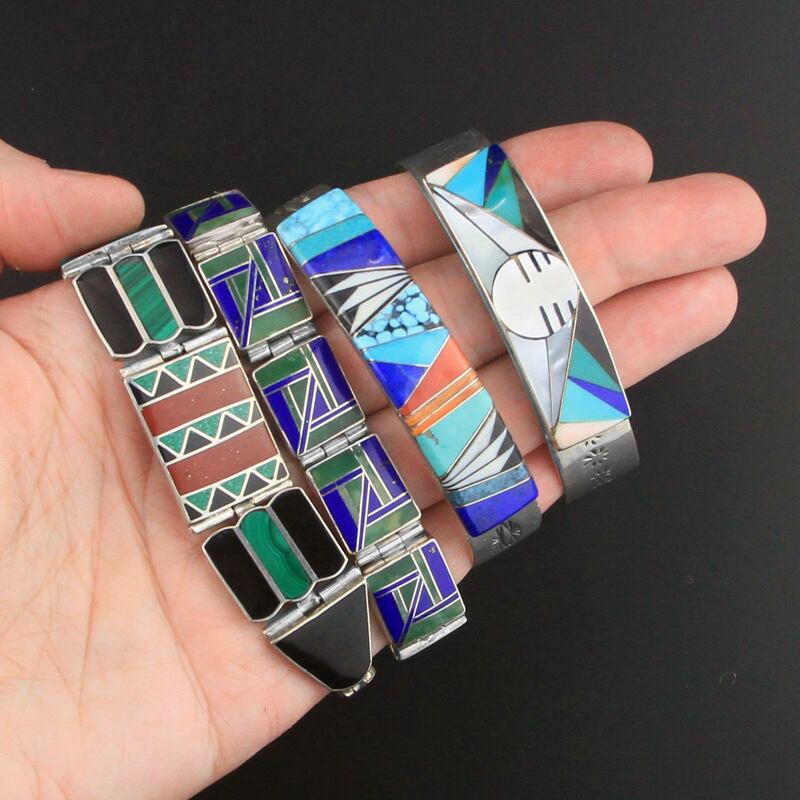 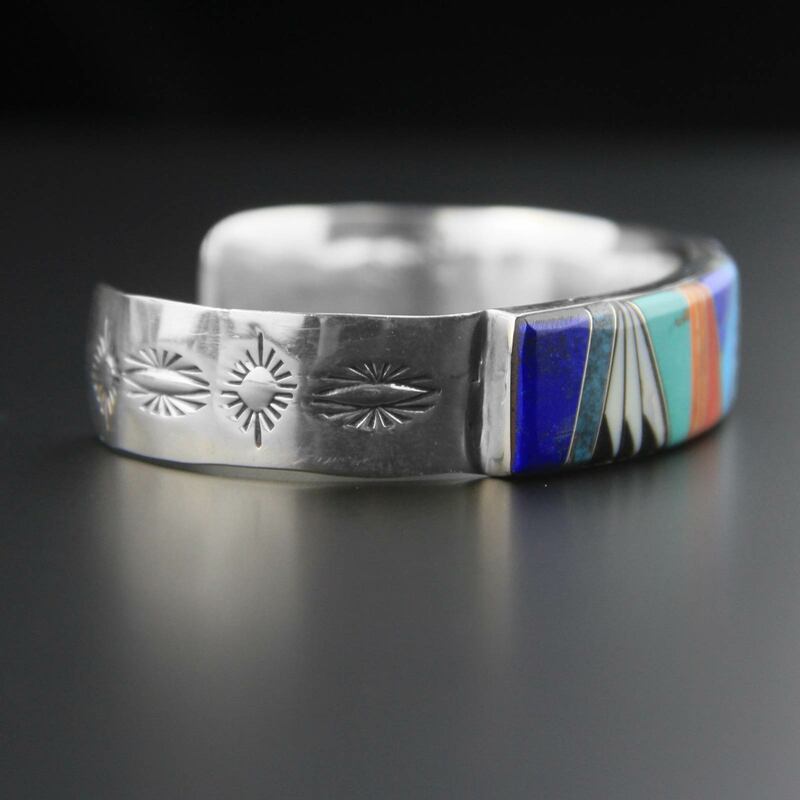 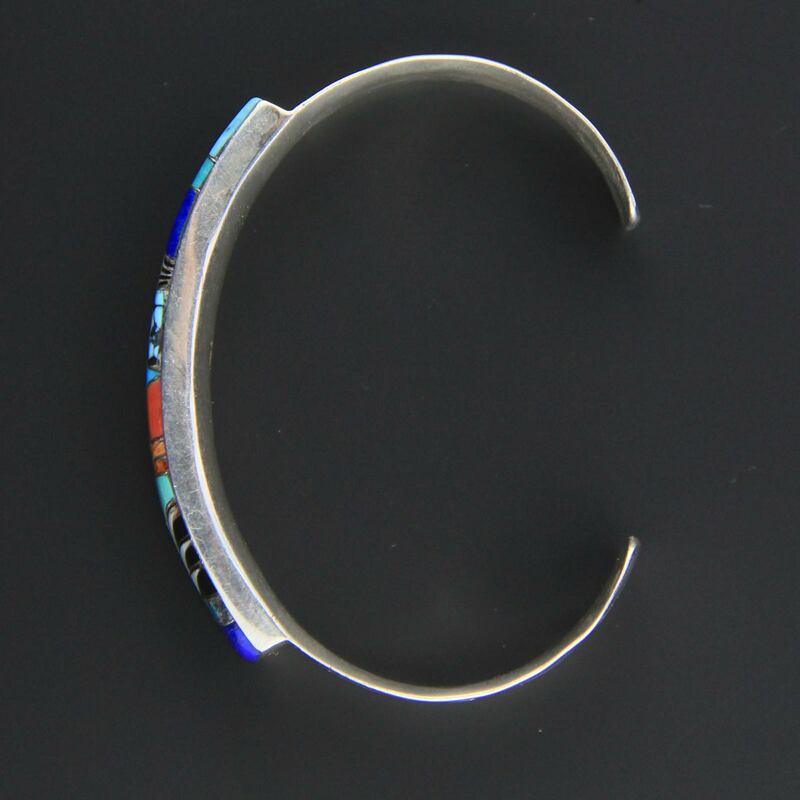 Incredible handmade, Native American inlay vintage cuff bracelet, c1980s. 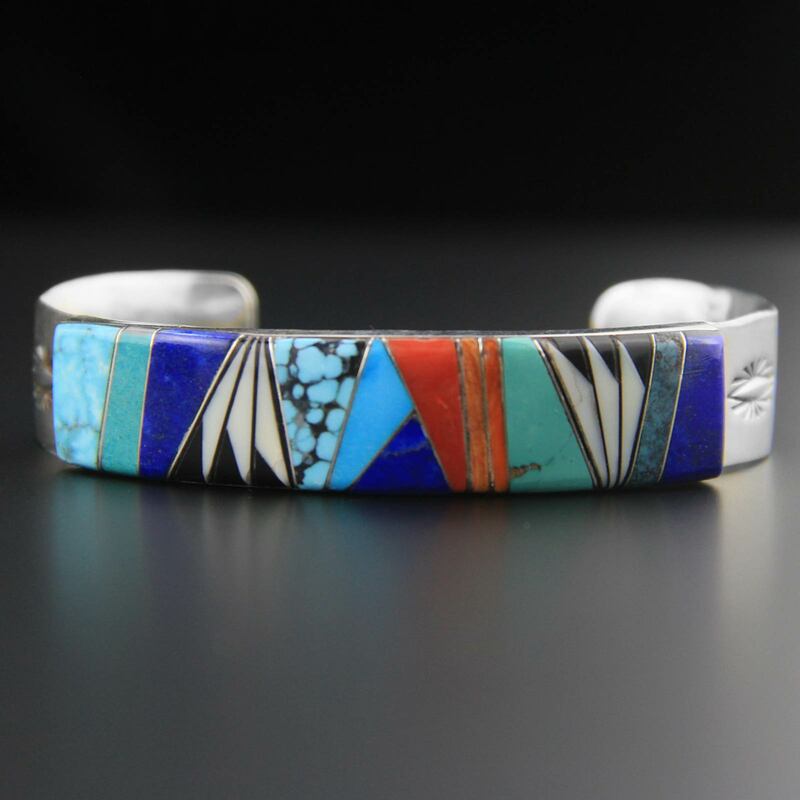 A good weight of silver and detailed inlay of turquoise, lapis, mother of pearl, onyx, spiny oyster and coral. 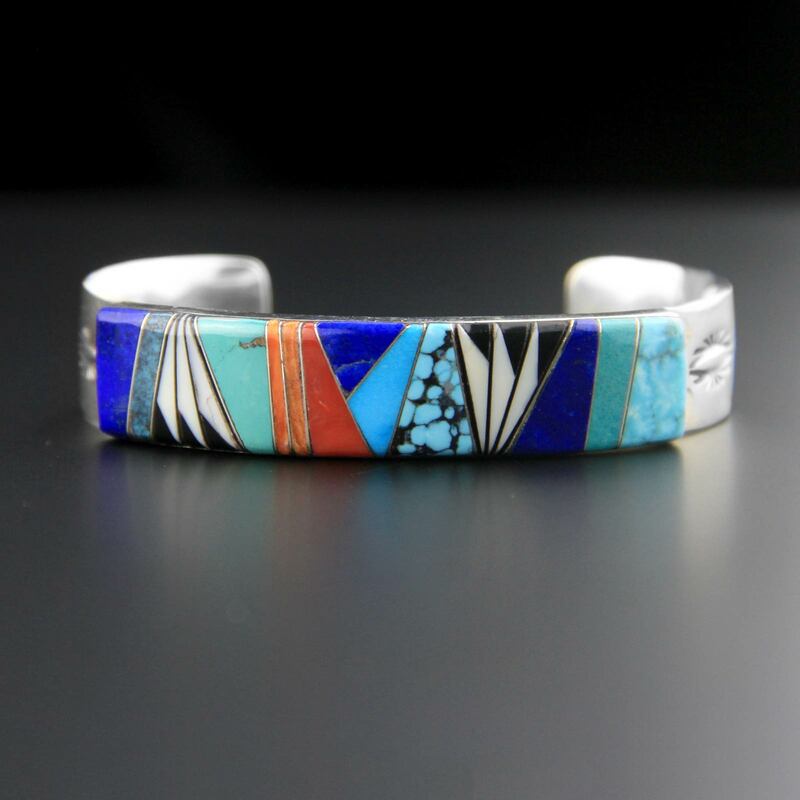 Very nice quality bracelet, would make spectacular gift. 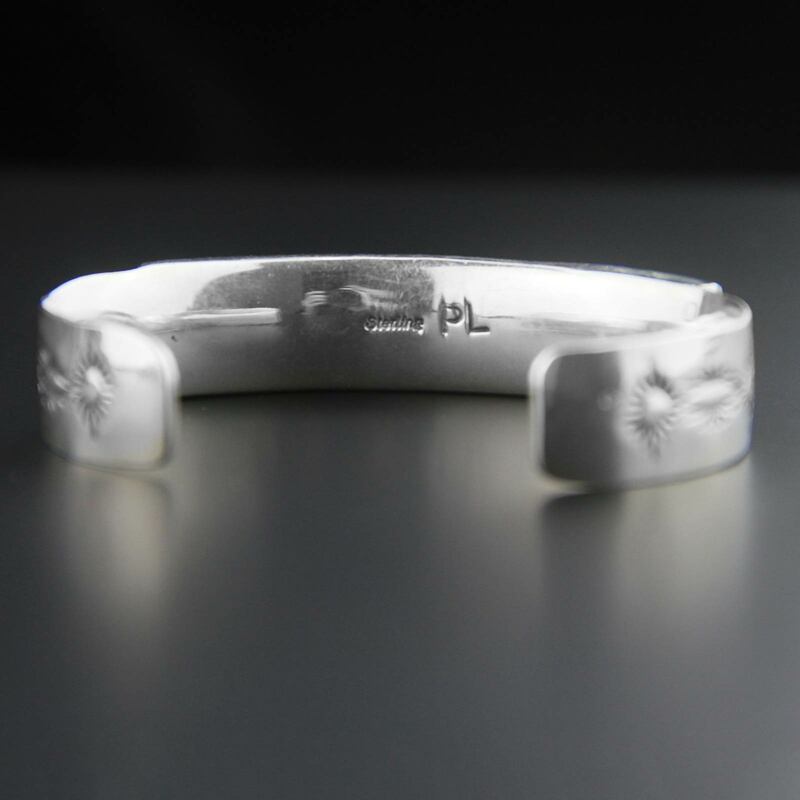 Last picture is to give you an idea of size.